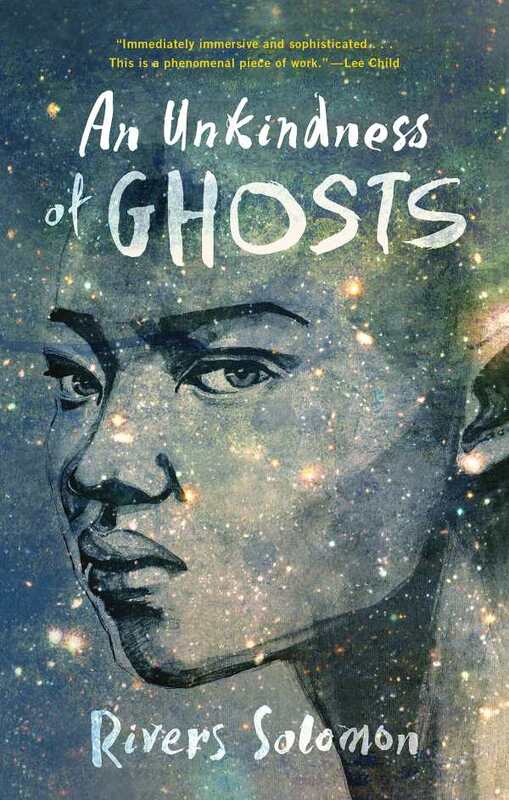 An Unkindness of Ghosts launches the career of a brilliantly gifted and important new writer in science fiction. With An Unkindness of Ghosts, Rivers Solomon inarguably shows themselves to be a literary child of genre leader Octavia E. Butler. On Matilda, a generation starship presided over by a brutal authoritarian hierarchy, Aster does what she can to subvert the ruling powers’ hold over her and her chosen family. But an early encounter with the man who will soon take the seat of power on the ship makes her a target. In her search for her mother, Aster uncovers far more than she ever suspected to about the ship and its purpose. Her rebellious spirit fuels her search for the truth, leading her to an act she’d long envisioned—and another she’d never dared to dream was possible. Solomon’s language is musical, heavy with both literal and figurative meaning, yet also clear and concise. There are no wasted words here. These characteristics also describe Aster; despite her difficulty with understanding social cues, she uses her mimicry abilities to pass as “normal” when she needs to achieve a goal. She understands that the world of the Matilda wasn’t built for her. Giselle, Aster’s close friend and sometimes lover, is the emotional core of the novel, where Aster is its brain. Their relationship melds them into the voice of the downtrodden on the ship, the low-deckers who are forced into slavery for the ease and enjoyment of the upper-deck residents. As Giselle’s actions cause more suffering for her personally, Aster begins to follow her lead and let emotion guide her as well. The narrative is infused with folklore and a scattering of dialect, and it has a density and richness that demands careful reading. It is not a fast read in the usual sense of something fun and frothy; the pacing feels deliberate and necessary to how events unfold, and is completely natural to the story. Suffused with the past, the present, and the future of human experiences in its events, An Unkindness of Ghosts launches the career of a brilliantly gifted and important new writer in science fiction.